Never smile at a crocodile, originally uploaded by Erin *~*~*. This is not the version of Captain Hook that jumps out at you or photo bombs your family. 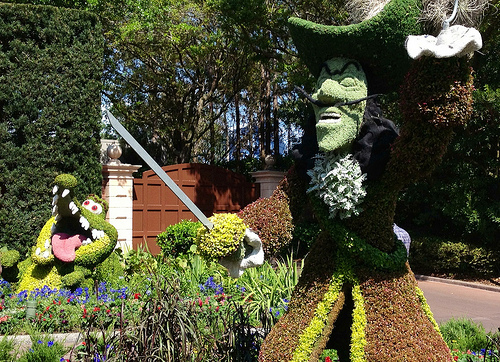 No human topiary here – just a good old fashioned "Arrrrr! ".